With the merger of the Oliver Chilled Plow Works and the Hart-Parr Tractor Company, a completely new tractor was designed using ideas from both companies. 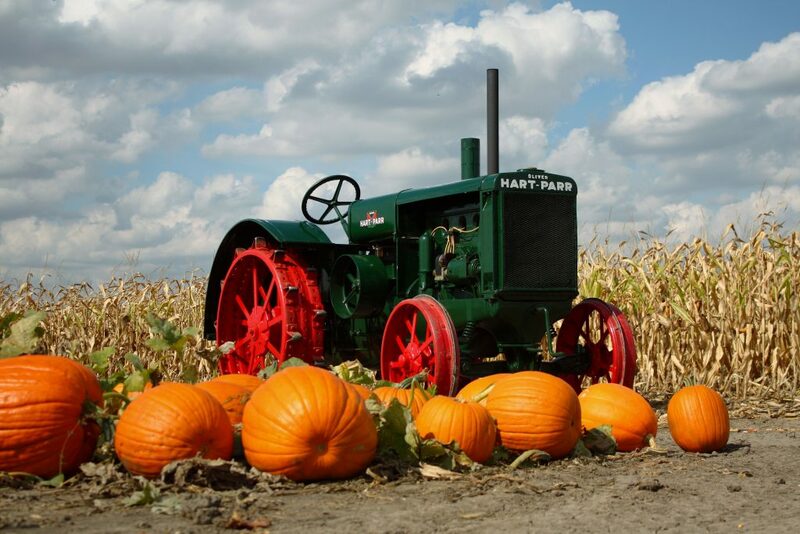 The result of this merger was the introduction of the Oliver Hart-Parr Row Crop tractor in 1930. This was a single-front wheel machine having holes in the frame for pipe-mount implements. In 1931, the single wheel was replaced by two narrow wheels. After the Row Crop was tested in Nebraska in April of 1930, it became the 18-27. This model used a Waukesha/Oliver engine which burned gas or kerosene. It was produced until 1937. The next model in the line-up was the 18-28, which was basically the same tractor as the 18-27 but was the standard version. It also had a slight increase in RPMs, which gained the model one belt horsepower. This model was also produced until 1937. The 28-44 was the larger tractor in the lineup. Rated as a 3-5 plow tractor, it was also introduced in 1930. This tractor had several variations with the most unique being the Thresherman’s Special. It was equipped with a whistle and solid cast disc wheels. The High Compression Special was a 28-44 but burned only gasoline and had a different head on it. The high compression head resulted in a rating of 32-50, although that model was never tested in Nebraska. In 1935, Oliver introduced their new design in tractors. The model 70 was born with a 6-cylinder Continental engine; a styling not seen before in the tractor world. This model set the trend for all tractors of the future. When the 70 was first introduced, it had both the name Oliver and Hart-Parr on the radiator casting. Today, this model is known as the unstyled 70. It was built until 1937 as a Row Crop, Standard, or Orchard model.